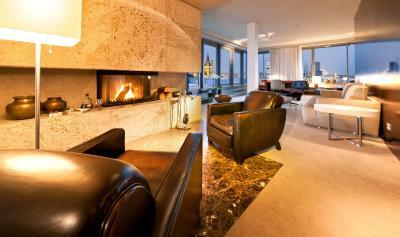 Lock in a great price for Dorint Hotel am Heumarkt Köln - rated 8.5 by recent guests. Room was lovely bed was very comfortable. The hotel is in a great location and breakfast was delicious. The veiw from up the mountain , the amazing furniture and the staff . The city in only a 10 min walk you can either walk or go with the electric car. The ski slides are 5 mins away by walking just an amazing way to spend the holiday and stay a bit with nature away from the crowd. Will strongly recommend to anyone . Great location for visiting both city centre and imm Cologne. Nice staff, great facilities. Very good breakfast. Spotless clean facility. Nice breakfast. Right in the middle of the active part of the city and yet very close to the exhibition grounds. The bedroom and bathroom were excellent, comfy bed, just the right temperature, fresh fluffy towels and the location of the hotel is absolutely perfect for shopping, bars/restaurants and the Winter Wonderland market by the river. We stayed for two nights at the Dorint am Heumarkt and I was very positive surprised about the hotel after reading the reviews here. I liked the room very much (they are not dated, like one person mentioned) and I do not understand why one customer complains that he had problems to take the stairs with his wheelchair to enter the hotel, their are no stairs at the entrance and an automatic door... Anyway, the location is great, right in the center. I totally liked the bathroom, very modern and big, the hotel employees were very nice, friendly and helpfully. When traveling alot, one notices instantly if the hotel will be to your liking based on the staff. From the time that we arrived and fast registration to the personal "so long", I can recommend this hotel for her understanding of hospitality and the fact that the hotel was centrally located in a safe area of Dusseldorf. Many thanks to the entire team of the Dorint Hotel. The breakfast was amazing. The feel of the hotel was a lovely relaxed atmosphere and nothing was too much trouble for the staff. 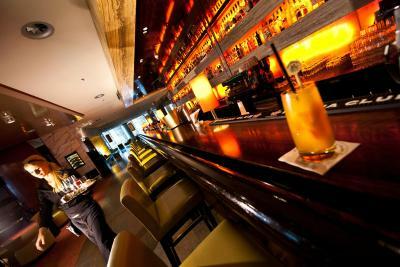 Loved the convenience of a hotel bar on site although the drinks are quite expensive. Dorint Hotel am Heumarkt Köln This rating is a reflection of how the property compares to the industry standard when it comes to price, facilities and services offered. It is based on a self-evaluation by the property. Use this rating to help choose your stay! 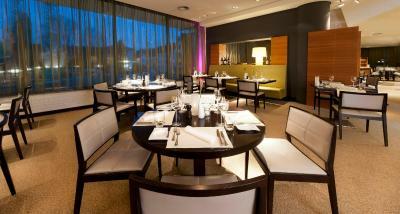 One of our top picks in Cologne.This hotel is situated in Cologne city centre, 200 yards from the Heumarkt Square. It offers spacious rooms, a restaurant and access to a health club with large indoor swimming pool (usable for a surcharge). Dorint am Heumarkt Köln provides spacious rooms with soundproofed windows and modern décor. All rooms include free tea/coffee facilities and a stylish marble bathroom. 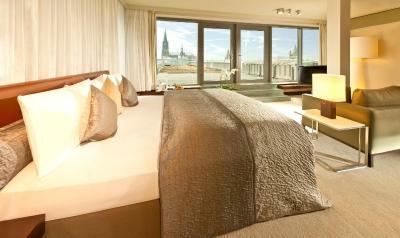 Some rooms offer a view of Cologne Cathedral. Pay-TV channels are also available for an additional charge. Guests over the age of 18 have access to Holmes Place Health Club. They receive a discount to the facilities, which include a spacious fitness centre, beauty farm, saunas and hot tubs. 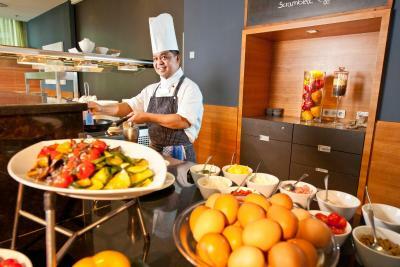 Guests can enjoy a full buffet breakfast. Live music can be enjoyed at Harry’s New-York Bar. Heumarkt Underground Station is 200 yards from the Dorint am Heumarkt. Trains run to Cologne Main Station in 8 minutes and the Koelnmesse Exhibition Centre in 11 minutes. Altstadt-Nord is a great choice for travellers interested in museums, cathedrals and Christmas markets. This is our guests' favourite part of Cologne, according to independent reviews. 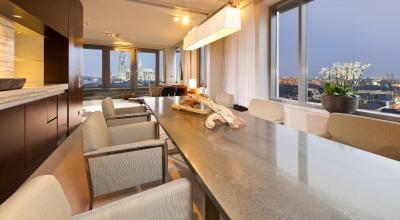 This property also has one of the best-rated locations in Cologne! Guests are happier about it compared to other properties in the area. Dorint Hotel am Heumarkt Köln has been welcoming Booking.com guests since 2 Feb 2010. 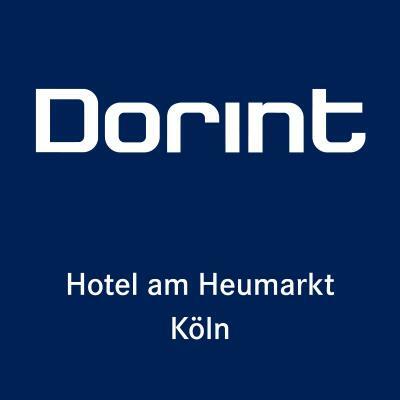 When would you like to stay at Dorint Hotel am Heumarkt Köln? Spacious room with modern décor features soundproofed windows, hot drinks facilities and a stylish modern bathroom. 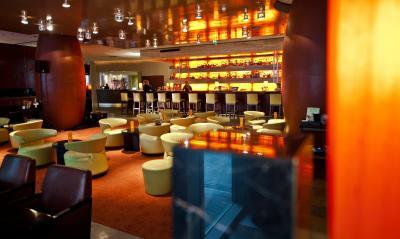 This room also offers free minibar with soft drinks and beer. Private parking is possible on site (reservation is not needed) and costs EUR 27 per day. This room is individually designed and offers extra space. This double room features a bathrobe, minibar and air conditioning. 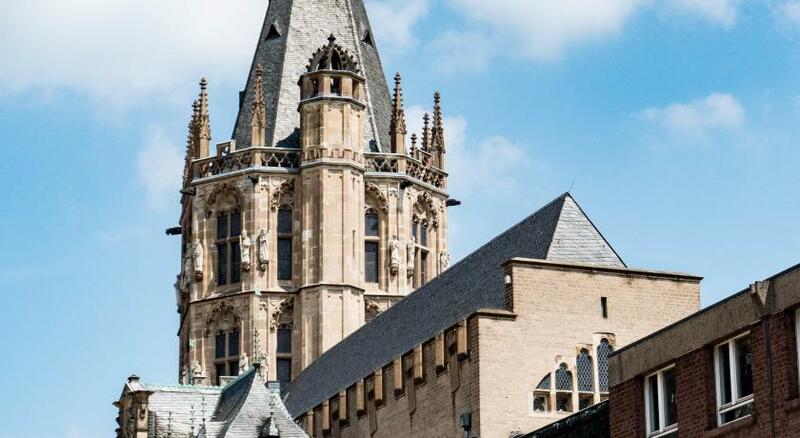 The Dorint Hotel am Heumarkt Köln is a top-notch hotel in the cathedral city of Cologne. The panoramic elevators with a stunning view will take you to the floors two to seven, where the 245 elegant guest rooms and 17 spacious suites are located. All of the rooms are equipped with air conditioning, two phones, flat screen, Pay-TV as well as free Wi-Fi. 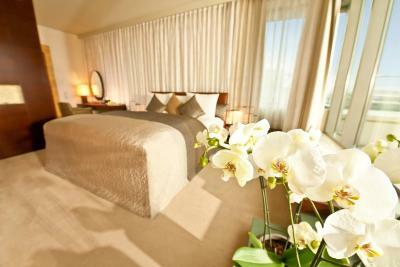 Furthermore, an in-room safe as well as coffee and tea making facilities are in each guest room. The restaurant “Faveo” for breakfast, conference lunch and dinner, as well as the trendy Harry’s New-York Bar treats you greatly with culinary delicious and tastefully cocktails and drinks. Finally you can relax after a successful day at the 4,000 m² Holmes Place Health Club (€ 10.00 per day / admission from 18 years). Hotel surroundings – This neighbourhood is a great choice for travellers interested in museums, cathedrals and Christmas markets – Check location Excellent location - show map Guests loved walking around the neighbourhood! The markets and breweries of Cologne's old town lie directly on the banks of the Rhine. 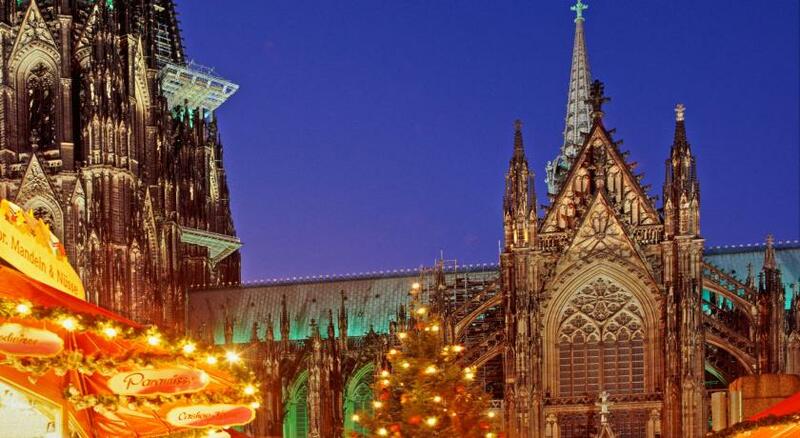 At the heart of the neighbourhood is the world-famous cathedral, Germany's most popular tourist destination. House rules Dorint Hotel am Heumarkt Köln takes special requests - add in the next step! Dorint Hotel am Heumarkt Köln accepts these cards and reserves the right to temporarily hold an amount prior to arrival. Please note that guests under the age of 18 do not have access to the Holmes Place Health Club. Please note that there is an extra fee for use of the health club, including the swimming pool. One of the most picturesque neighbourhoods in Cologne! Thin towels, empty shower gel bottle in the tiny shower. No parking available at hotel. Not what you expect of 4*s.
Easy, early check in (room was available). Excellent location, very helpful staff. 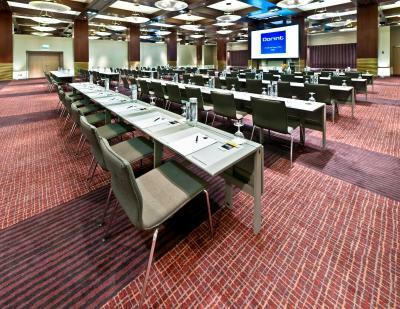 Large room with good facilities. Rooms are bit cold in January. Air conditionier couldn't warm the room enough. Check-out problem regarding the breakfast price being not included in the room rate, while it was clearly stated that it was in my reservation, but the issue was sorted out smoothly and quickly. Having to leave but will be back.